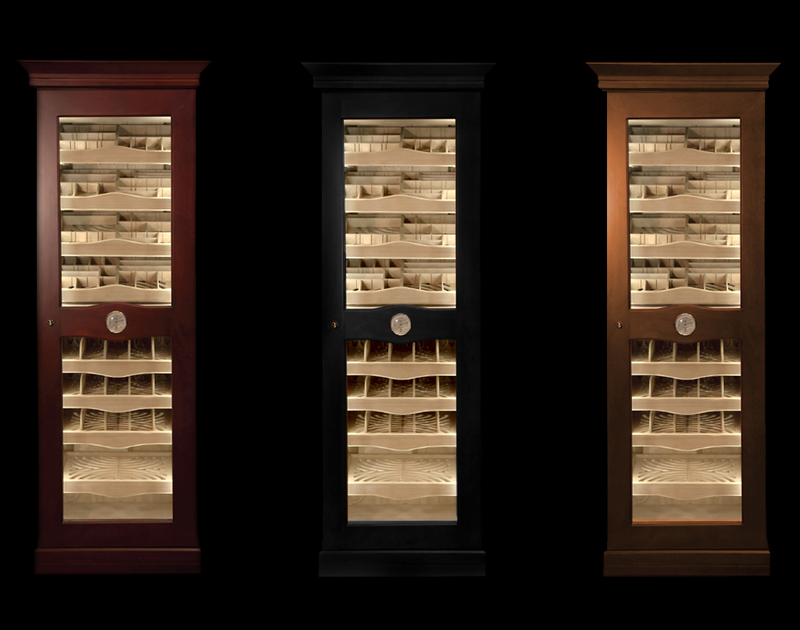 Perfect aging of 1,500-2,000 cigars. 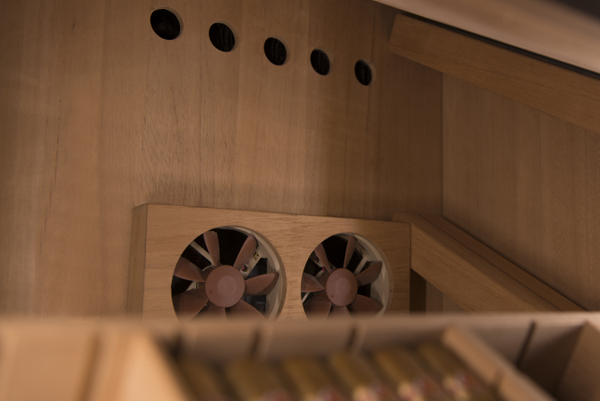 Impressive size and design, unique technology. 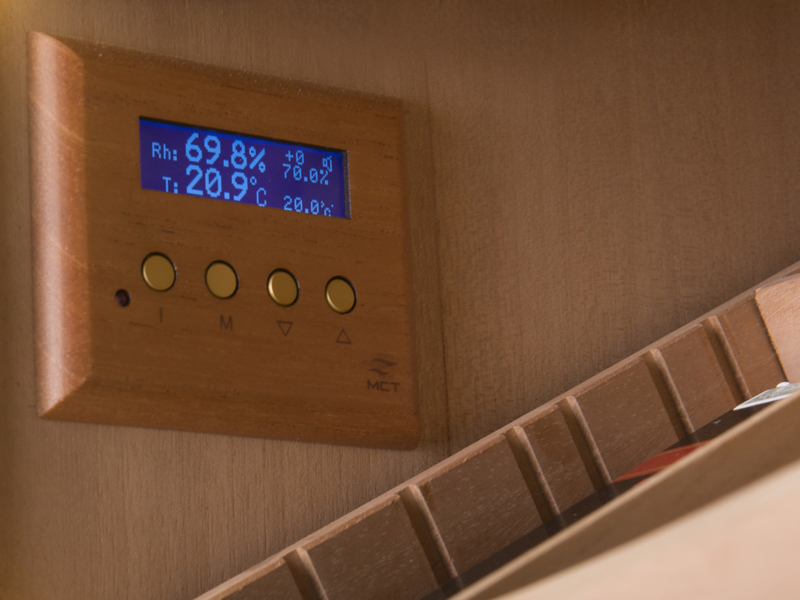 Precise digital humidification is a basic function, moreover all Maklary cigar cabinets are available with digital convection cooling, heating, extra convection and UVC air disinfection. 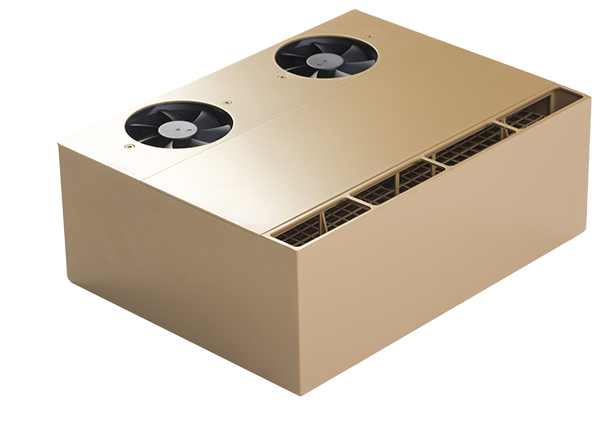 A powerful MCT XL humidifying machine –specifically developed for this model – is responsible for the steady humid air, blowing through a precisely constructed air duct to each tray, on all levels. 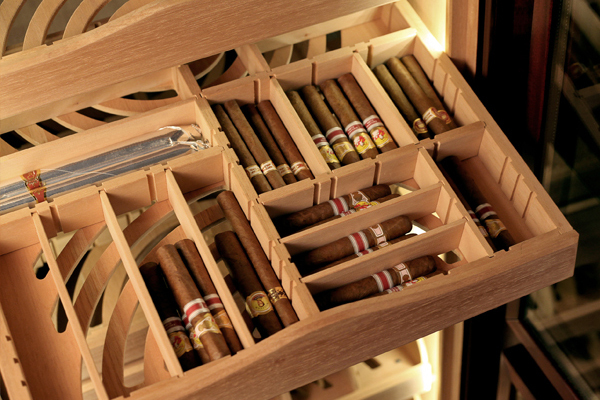 By using the removable dividers, trays can be divided into a maximum of five compartments, each capable of storing 30 cigars of Churchill size. 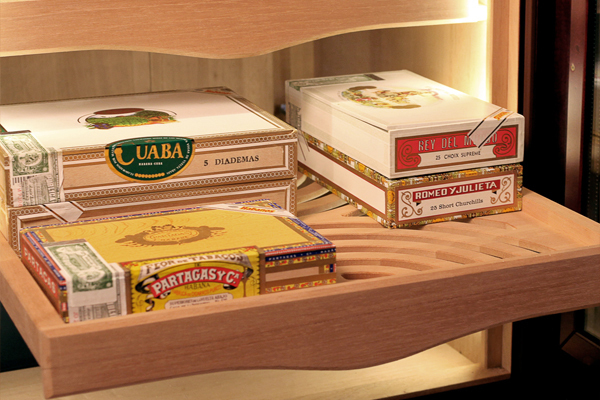 If you do not wish to use the divider, you can store full boxes of cigars on the trays. 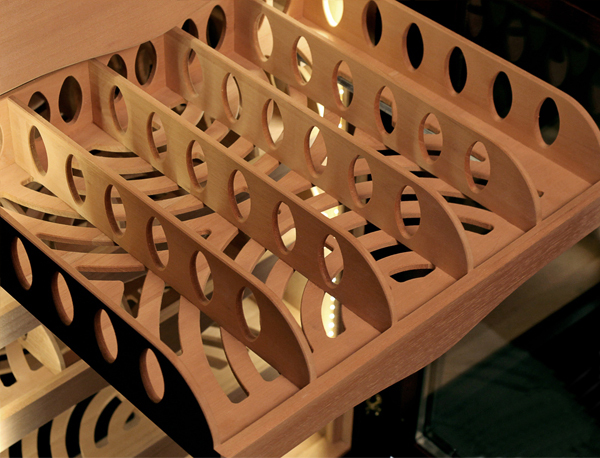 Each tray can store 150-250 cigars in total, depending on their size. 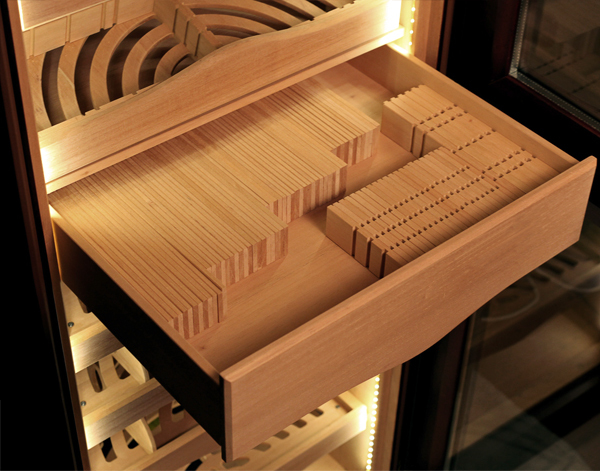 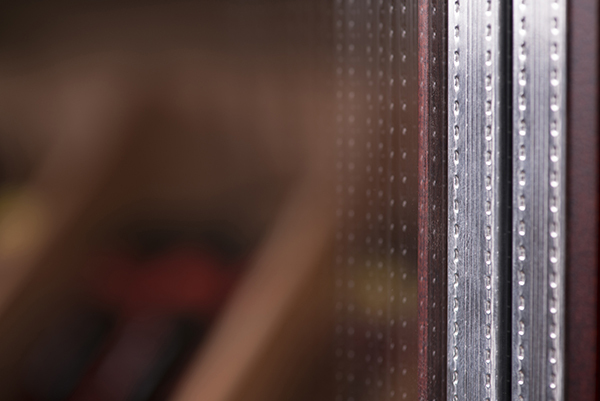 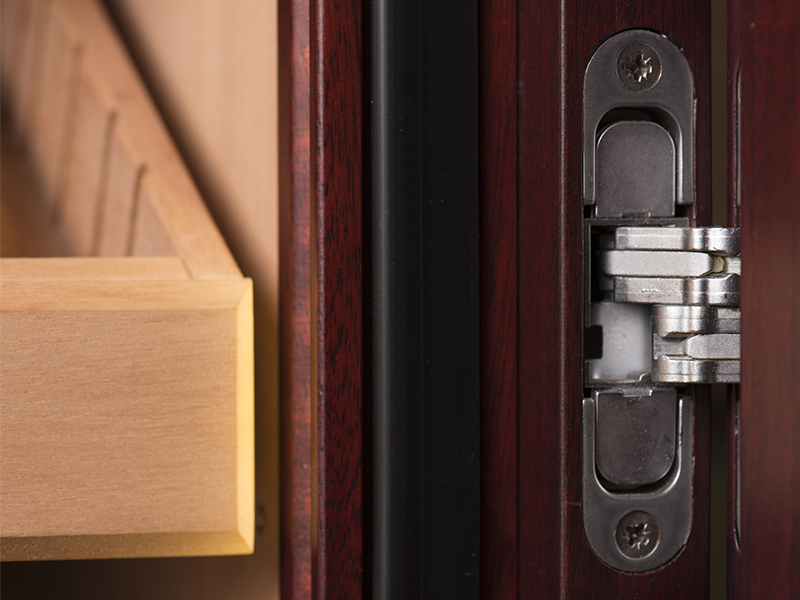 You can store here the tray divider elements, lighters, cigar accessories and your most precious cigars.